Each drill can be combined with one or more drills from any of the other three categories. As a result you will have a variety of effective drills that will lead to excellent training results. 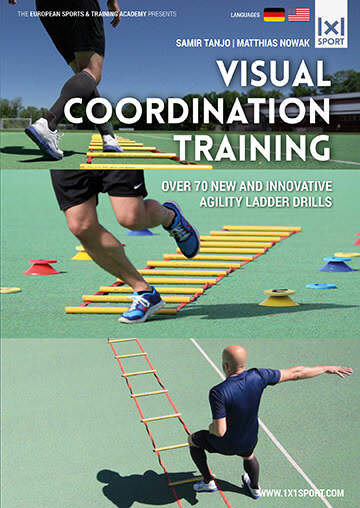 This clip shows the basic agility ladder drill „The Samir-Step“. You start off left of the ladder standing on your right foot, while your left foot doesn’t touch the ground. Now you jump into the first square, leading your left leg behind your right leg before touching ground with your left foot. After that you jump out of the ladder (to the other side) landing on your left foot again. Now you repeat the steps changing legs.